3 Guys is very excited to announce that we have a new venue for our extremely popular series of culinary smoke, and competition BBQ cooking classes. 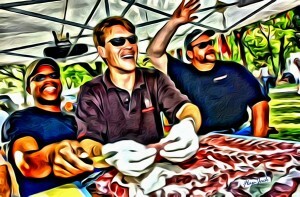 BBQ 101 through BBQ 106 will start next month, so signup TODAY! Click, visit, or call 180 Kitchen Design Group in beautiful downtown Jenks to signup. This new venue is amazing, and we can host nearly twice as many people, making this series a great activity for friends who love to BBQ and want to learn everything from the basics through the advanced techniques used by the pros, 3 Guys Smokin, with 25 top ten finishes in the American Royal BBQ competiton (the granddaddy of all BBQ comps.) and over 200 national competition awards spanning over 25 years of smokin’. 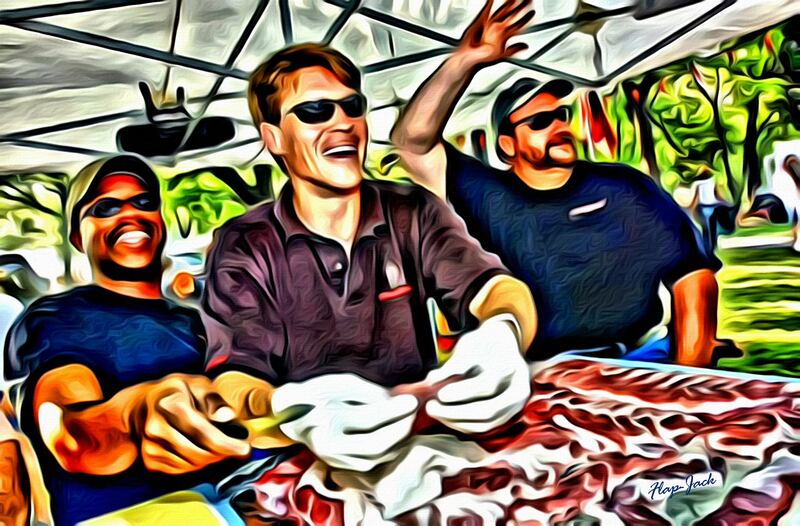 In this first class, you will learn the ins and outs of flavor profiling, selecting and trimming your meat and other helpful hints that will give you the skills to serve championship level BBQ, every time you cook! The menu consists of an All-American BBQ – beef briskets, pork ribs, beans, and cole slaw, as well as other dishes. You won’t leave hungry! These classes fill up very fast, so check your calendar and call today!!! When are the next classes starting? Wife and I were fortunate to see you guys at The Stock Pot and looked at one of the grills which used the pellets for smoking. What is the brand? Hello Guys, I use to attend your classes at The Stock Pot. And I was wondering when and where will you be having classes again. My email address is mleer741@gmail.com. Thanks looking forward to seeing you soon!